It’s fascinating to think that you, me, and everyone is bound to everyone else on this planet through only 6 degrees of separation. Between you dear reader, and me writing this article, the number is probably closer to 4. In Brisbane Australia, this theory is certainly evident, when I randomly find out that someone I am talking to invariably knows someone else in my social network. This town of 2 million is so small that the number is probably closer to 3. I’ve often thought, ‘if only I could have a facebook application in real life, where common friends float above the head of every person I see’, how easy would it be to find common ground then, to make new friends, based on their acquaintances and common circles of interest.. 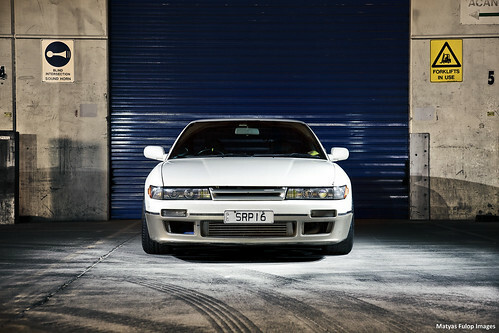 So when I met the owner of this tough-looking Nissan, Nghia, it only mildly surprised me that I knew his brother, Nhan, and about 6 others in Queensland’s car scene… The SRP16 plates also hinted at the sibling connection, having seen Nhan’s red S14 absolutely baking the tyres one night in a local industrial area, with his SRP19 plates barely visible through the smoke.. Anyway, Nghia’s a lovely guy (and patient too, I might add), and we wanted to get some shots of his chariot before he sold it to a new owner from Coffs Harbour. 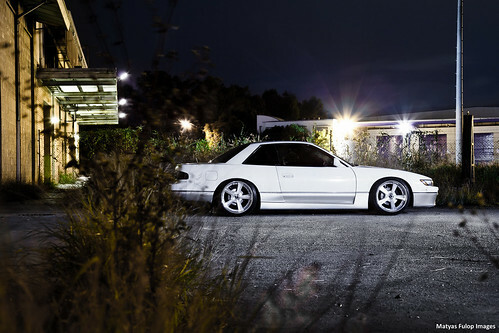 Since the shoot the car has gone, but the new owner seems cool too, having posted the details of it already on a local car forum. 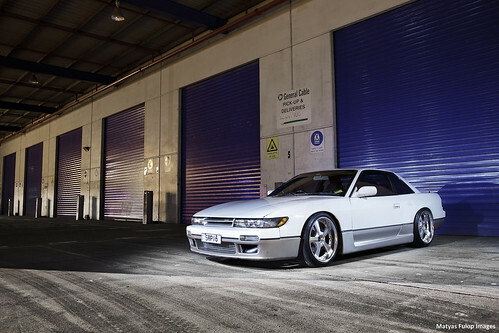 Nghia purchased his S13 completely stock 5 years ago, and it is still looking great in factory Nissan cream. Over the years he’s made reliable, basic improvements, as well as giving the little 13 a seriously fattened stance, slamming it on Weds Bvillens in a great size: 18X9 +22 at the front, and 18X10 +27 at the rear. 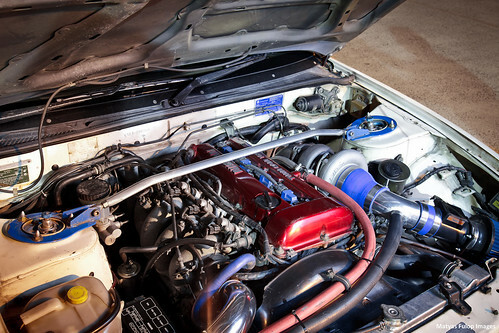 And before you think its just stance and no go, a bulletproof, everyday 230kW at the rears from the SR20DET is nothing to sneeze at. This puppy will fry the rear tyres easily. What’s next, you ask? Nghia was tight lipped about his next set of wheels, only giving away that it’s going to be 4 door. We will have to wait and see.. The mods list is at bottom; enjoy the pics. Full-res is on my flickr as always.